Ok, I know I’ve been a delinquent lately with my posts so I need to catch up. 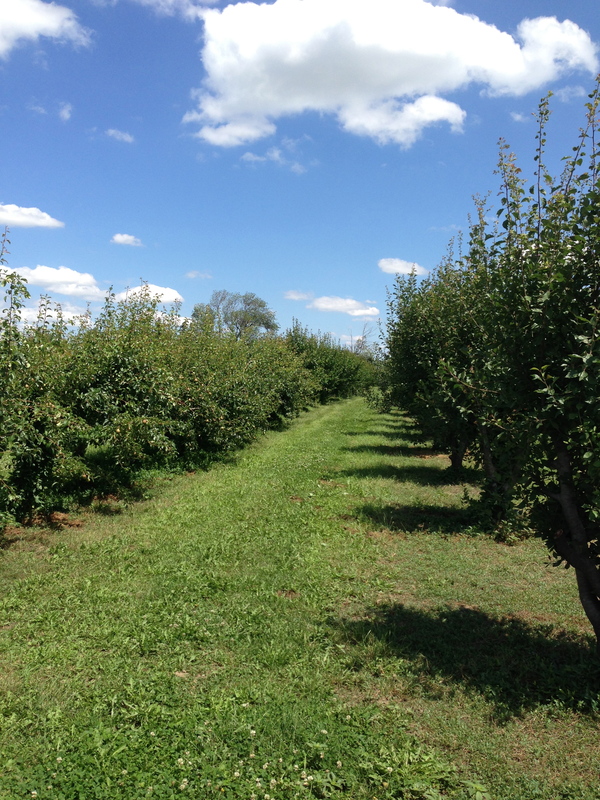 Last weekend’s weather was perfect for fruit picking and my friend I was really itching to get out there to the farms and taste the freshness of Ontario grown fruit. 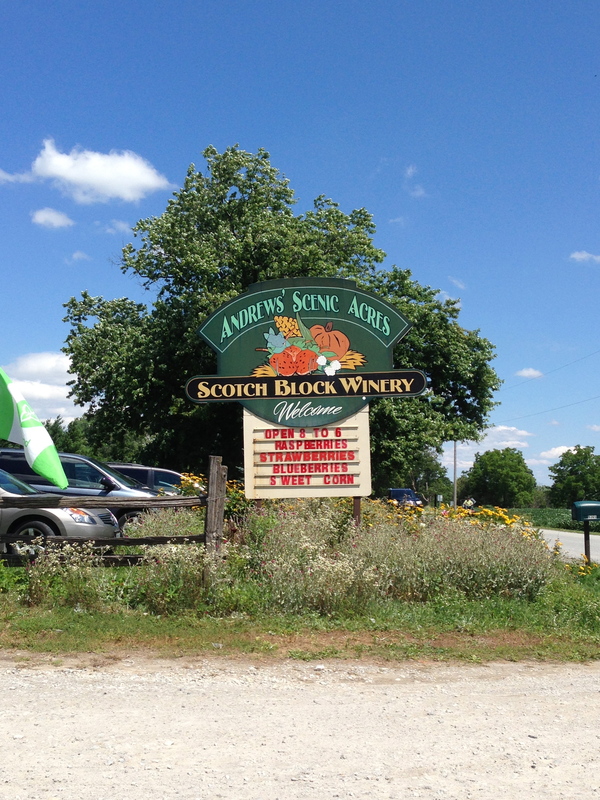 We headed to Andrew’s Scenic Acres, about a 40 minute drive (without traffic) west of Toronto. 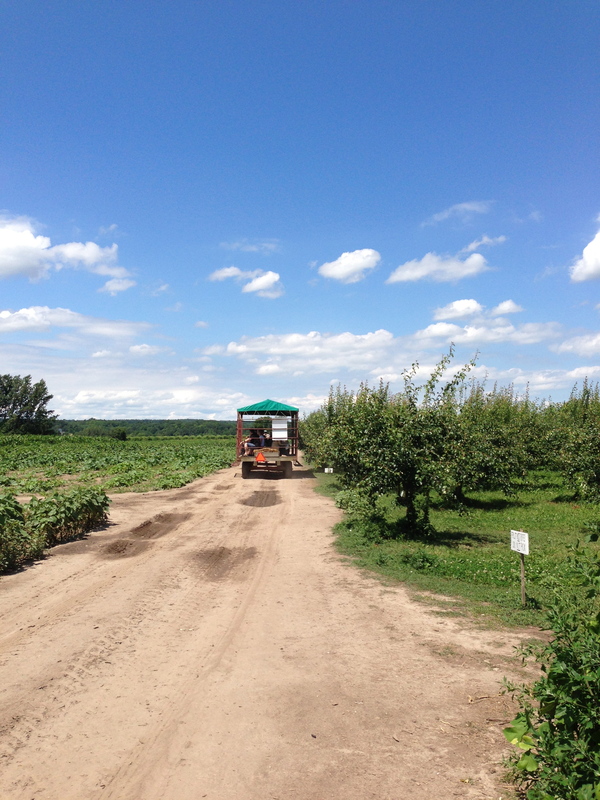 Since it was the end of July and way past strawberry season, we went blueberry and raspberry picking! This was my first experience picking blueberries and raspberries and I’m going to say, I much rather pick blueberries! The fruit grows in clusters and is much better on the back 🙂 Although raspberries grow on larger bushes, they grow underneath large leaves and grow much more sparse so you’re having to bend and search underneath for the delicate red treasures. At the end of the day, it was all worth it! 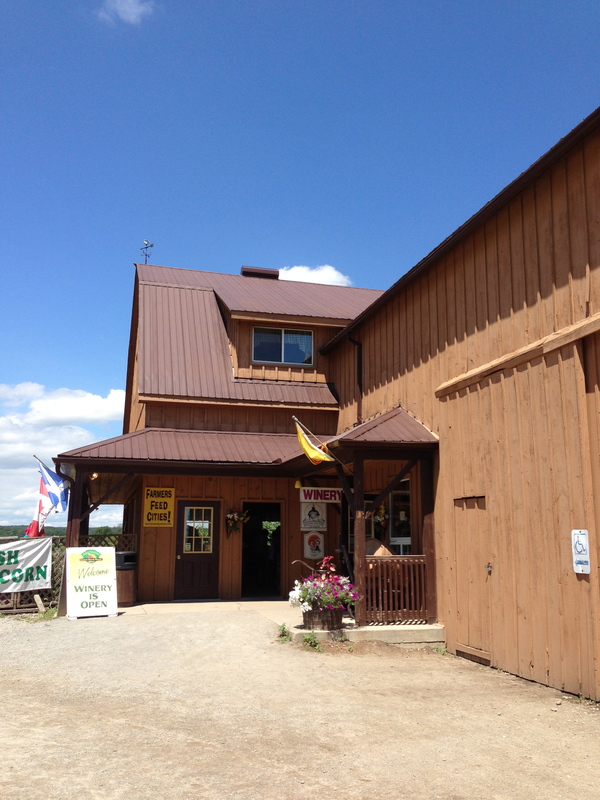 Nothing tastes better than fresh produce from local farms! Can’t wait for apple season!!! Barn and entrance to the field. 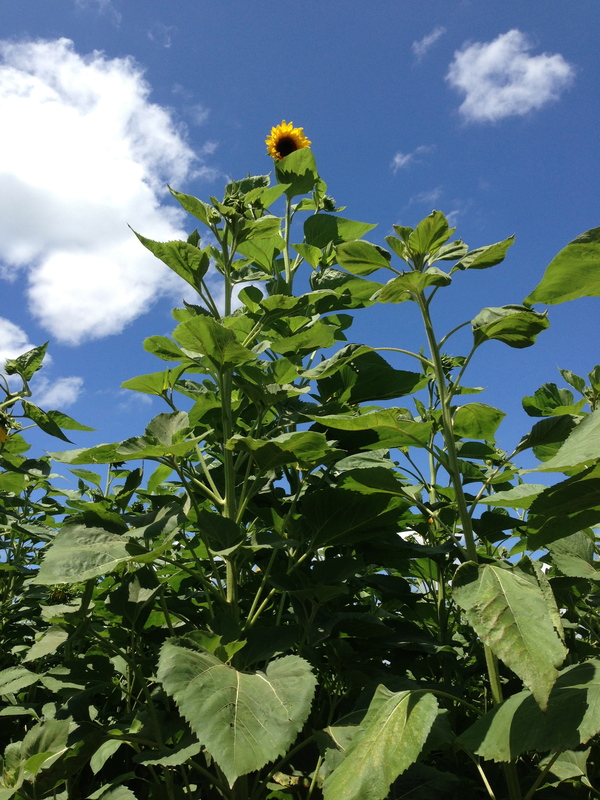 Sunflower patch – a bit of “Big Brother” is watching me vibe! Hay ride to the blueberry and raspberry bushes! 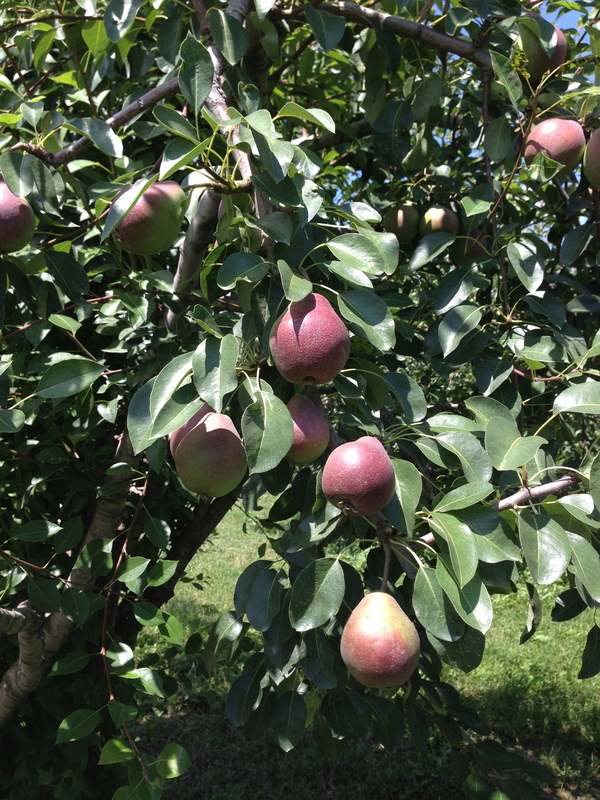 Looks like the pears are growing in nicely! 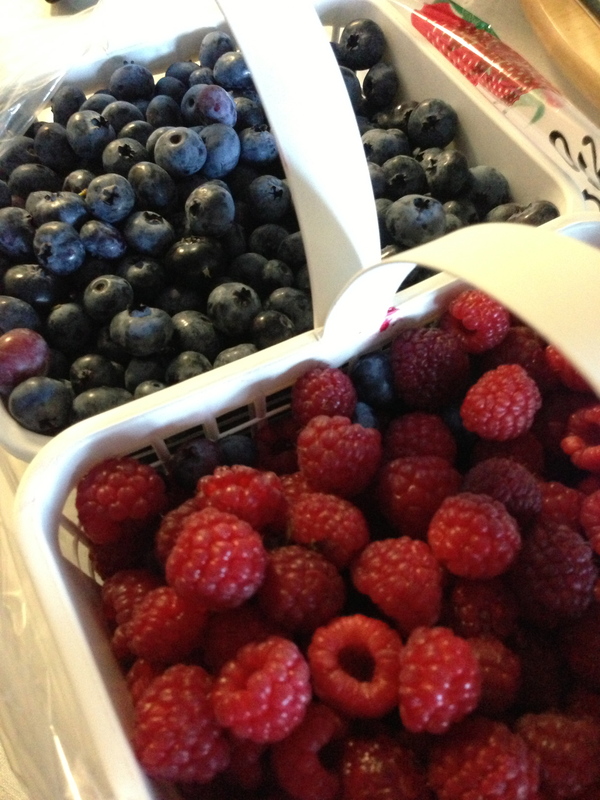 My pickings – blueberries and raspberries….sweet and delicious!